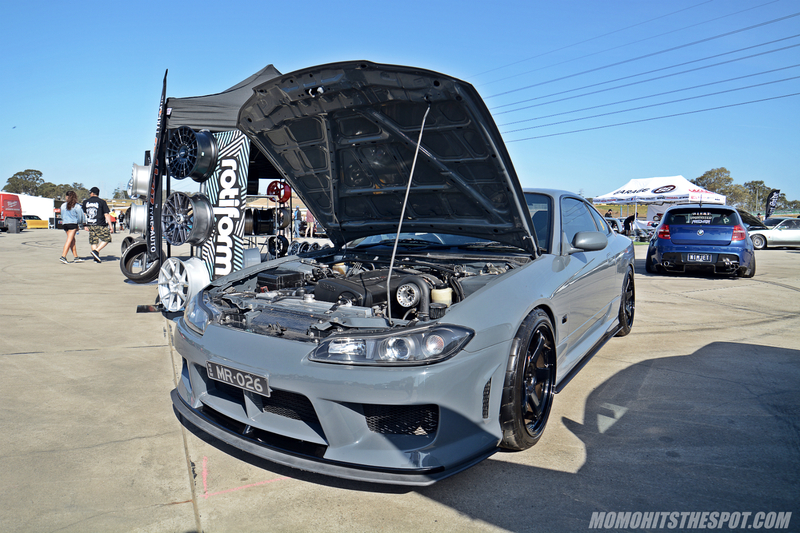 2017 World Time Attack Challenge [Event Coverage Day One Part 5] – MoMoHitsTheSpot! 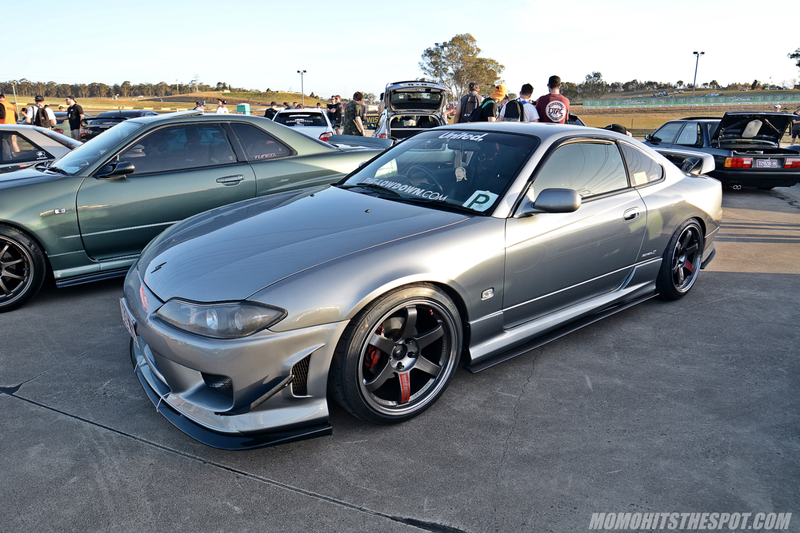 I gotta say, I was pleasantly surprised by the S15 showing….. this was only a small portion. 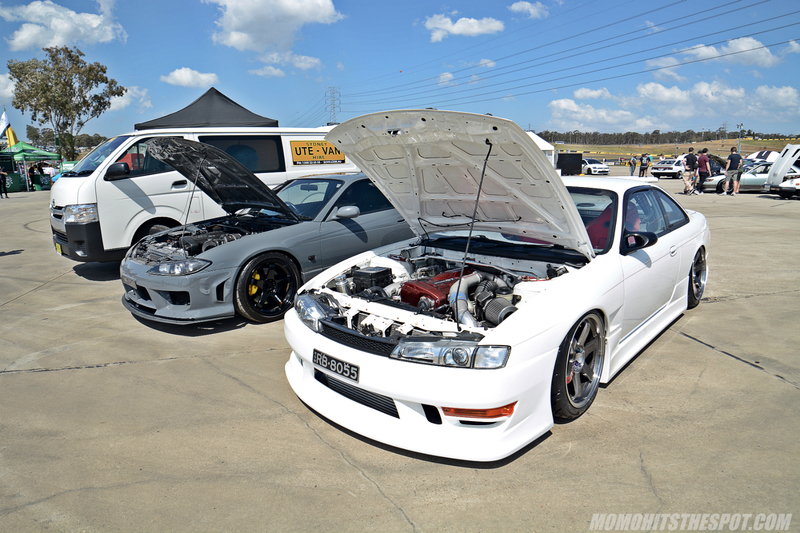 These two RB swapped Silvias are properly owned by twin brothers….. give them a follow on IG livefastau. 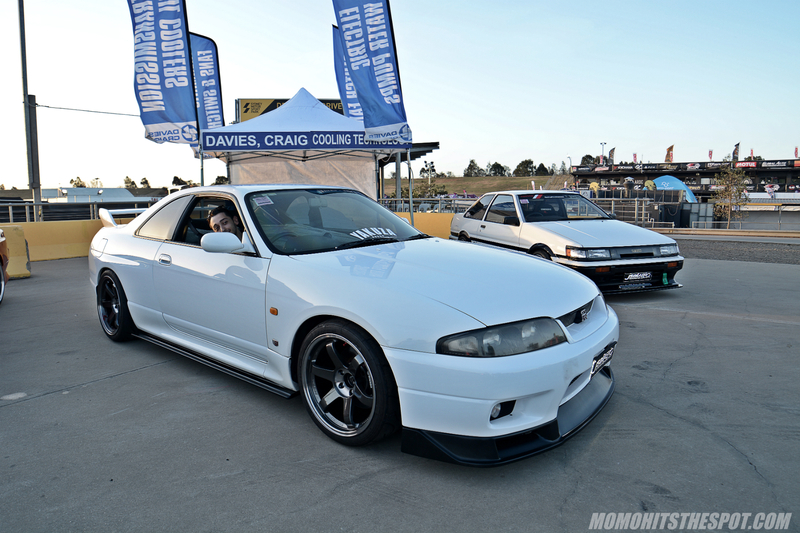 After looking through the photos of the StylizeD event, I realize most of them are of Silvias and Skylines… which isn’t a bad thing I suppose. 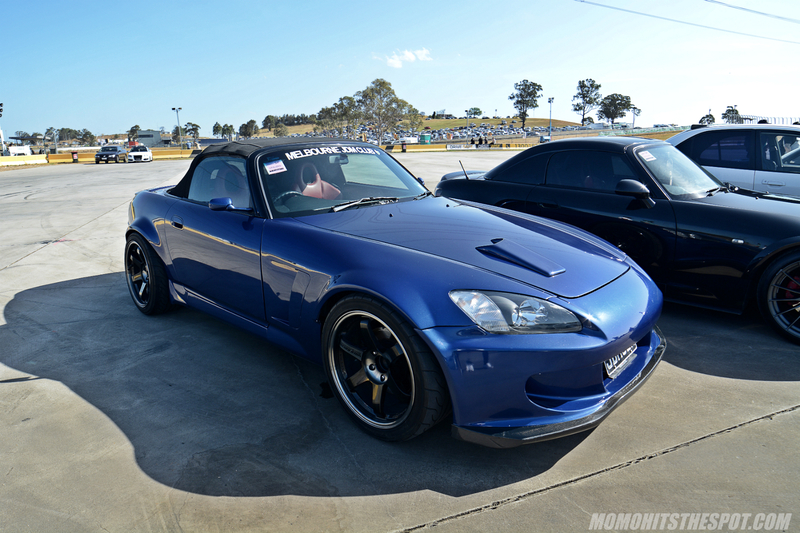 Love this Monte Carlo Blue S2000 on TE37SLs. 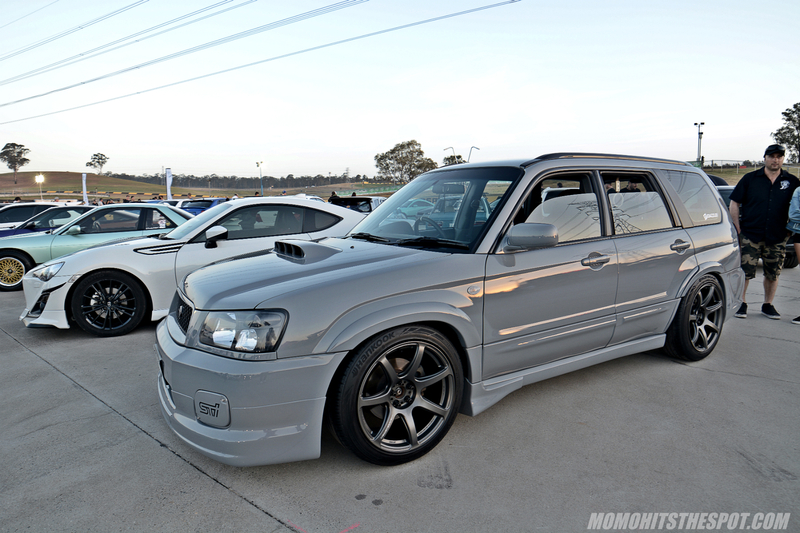 Cleanest Forester I’ve ever seen… and the Work XT7s matches very well. 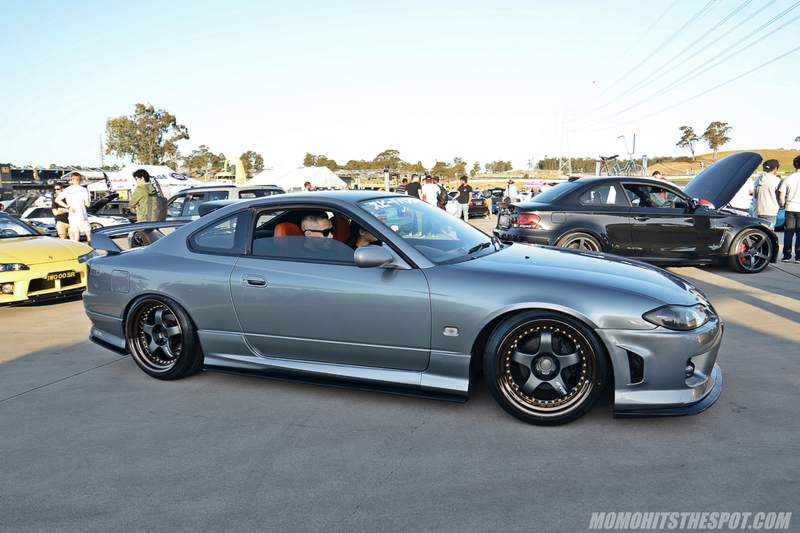 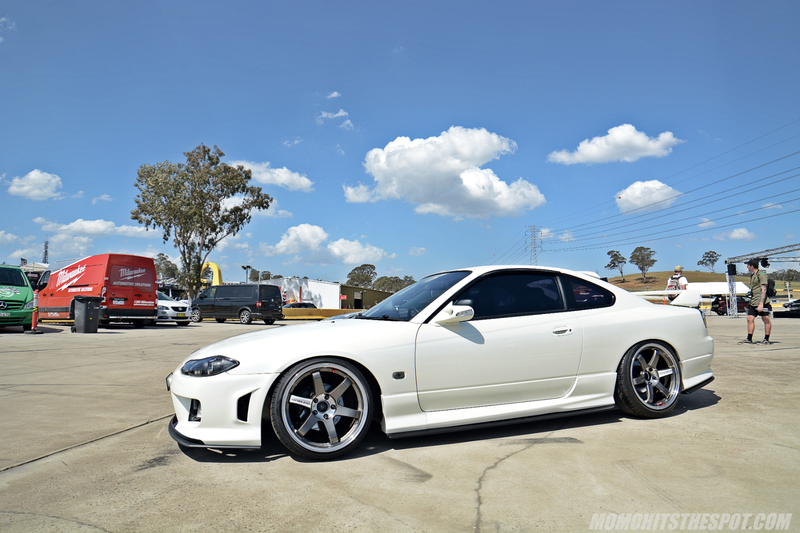 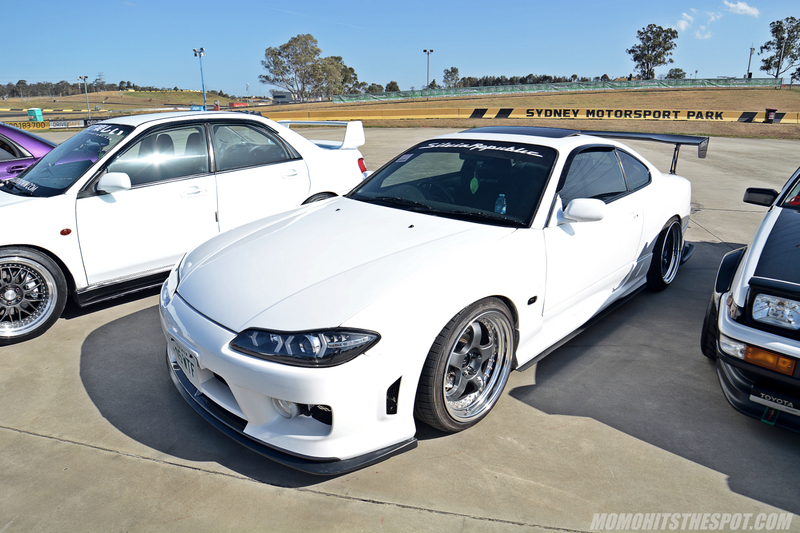 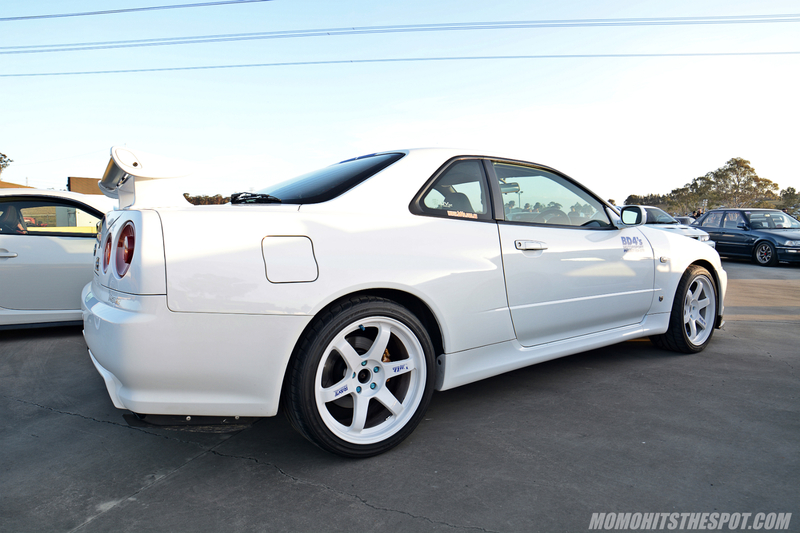 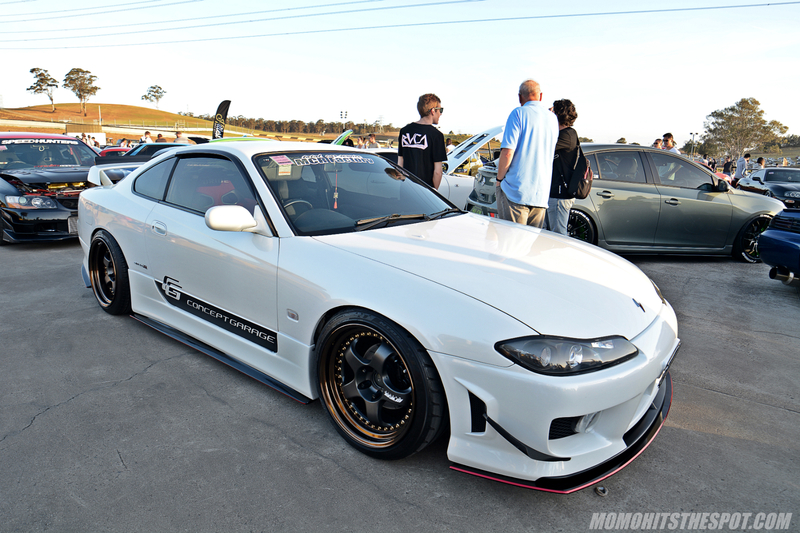 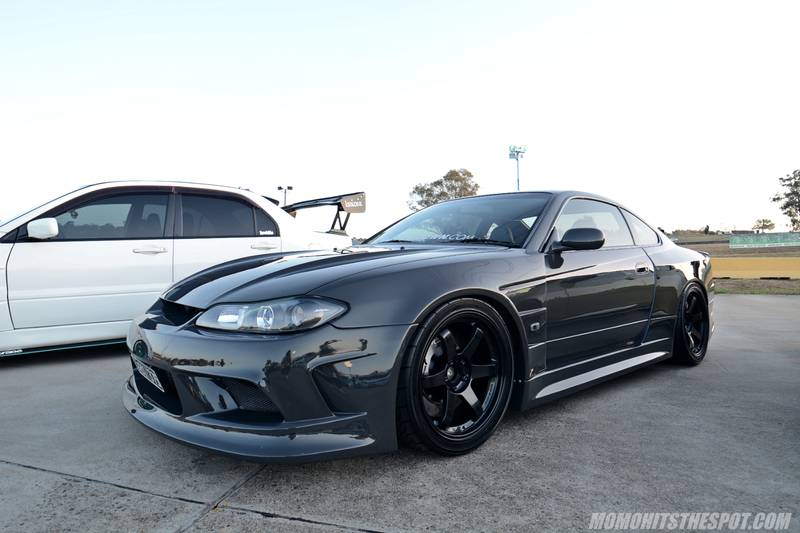 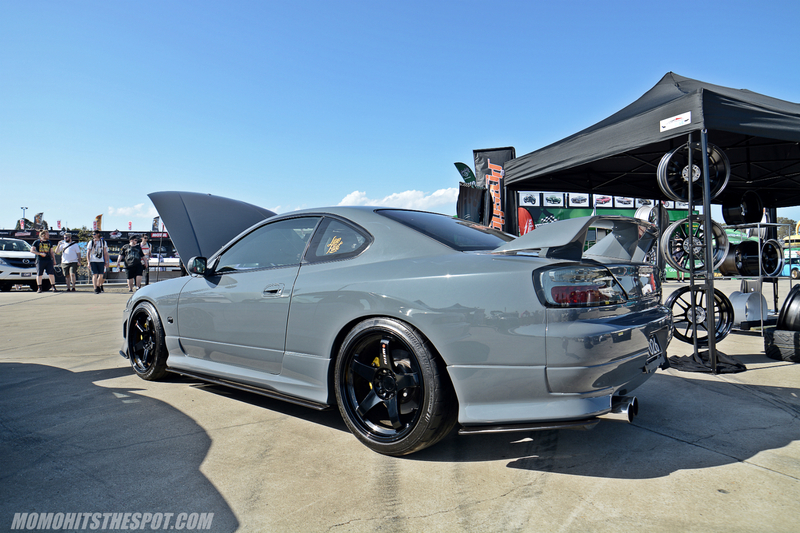 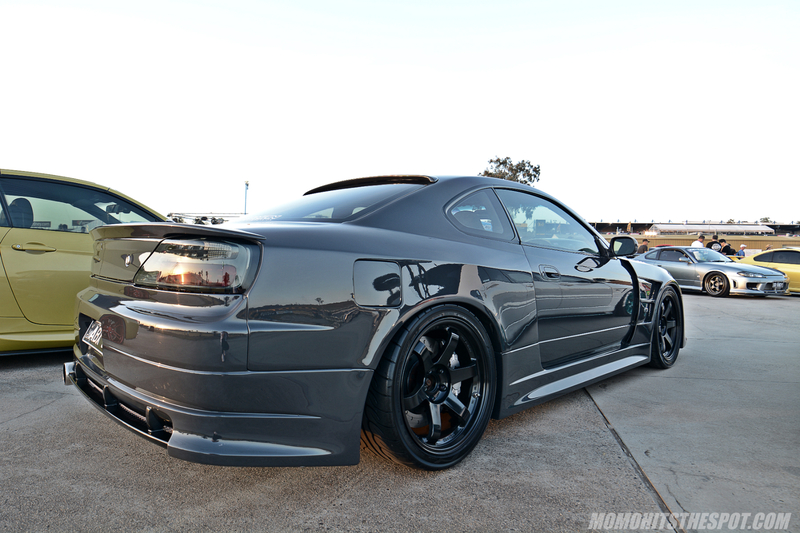 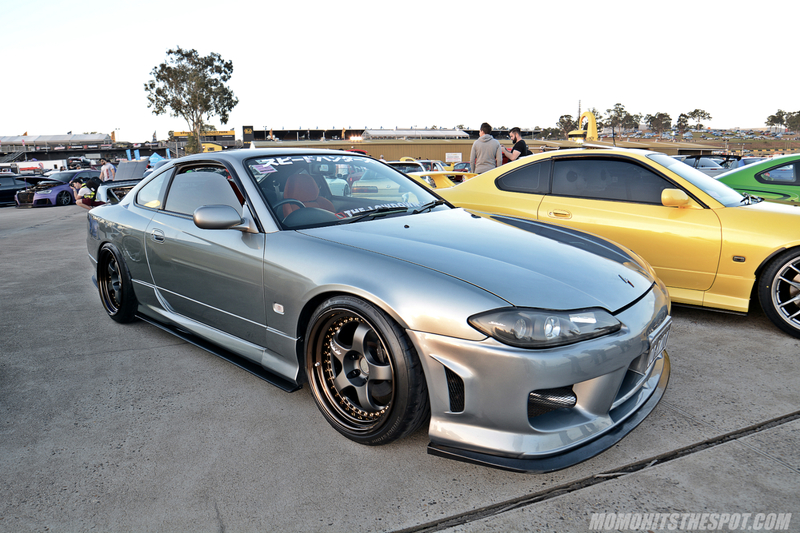 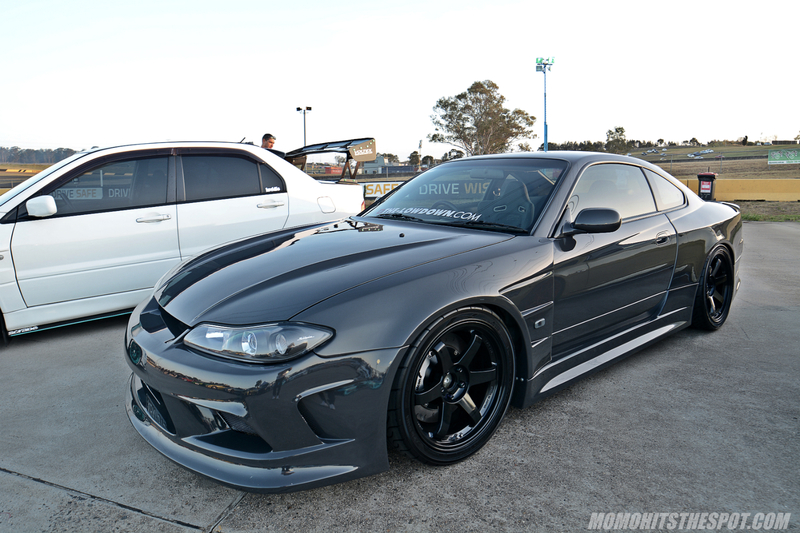 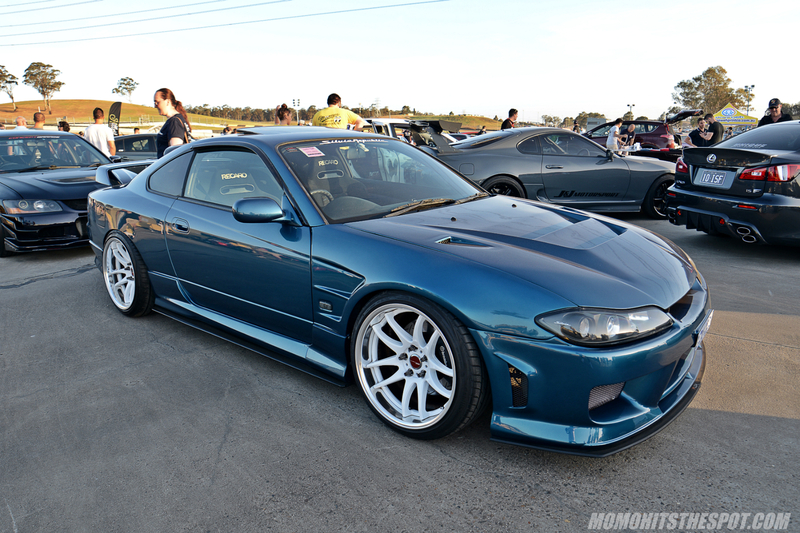 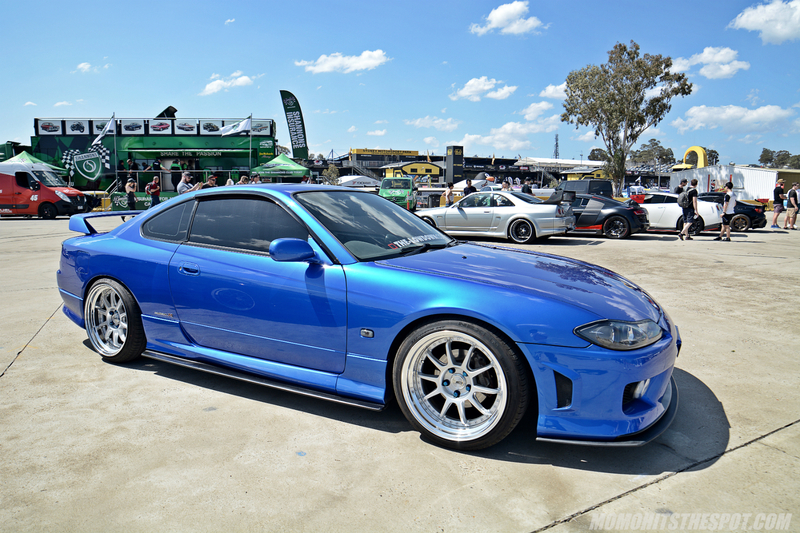 Another super clean Silvia rolling in… come to think of it, I don’t think there was a “bad” S15. 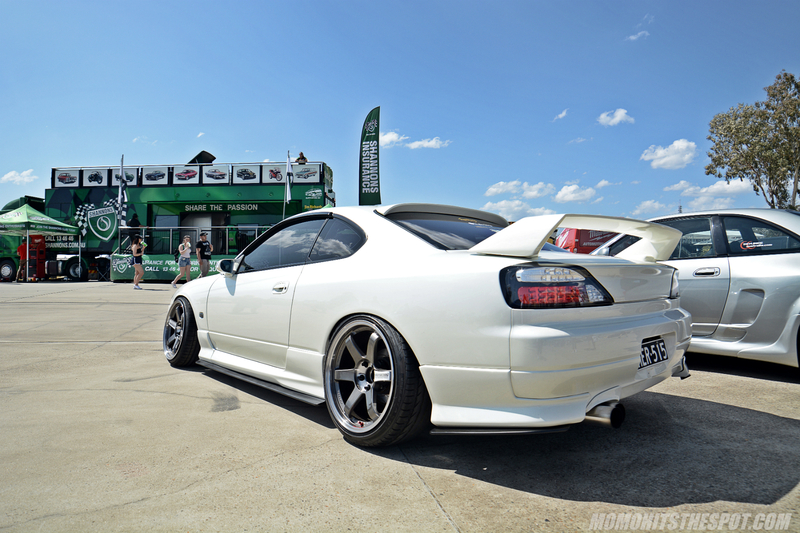 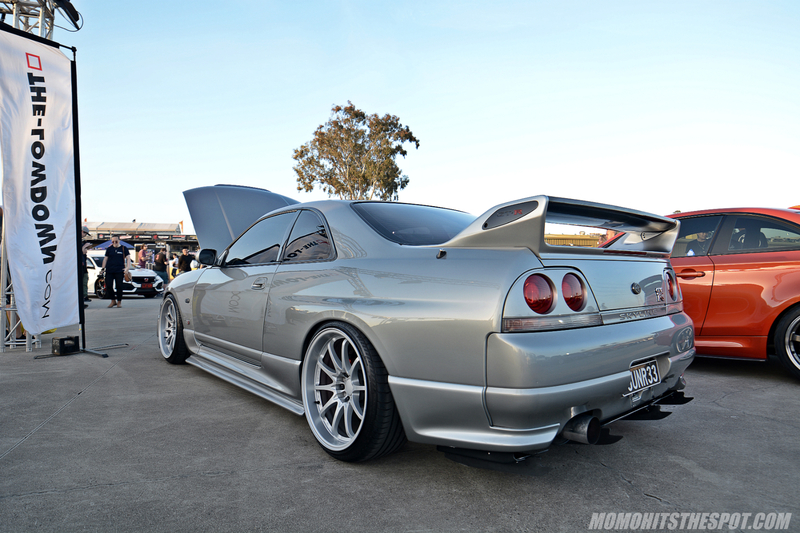 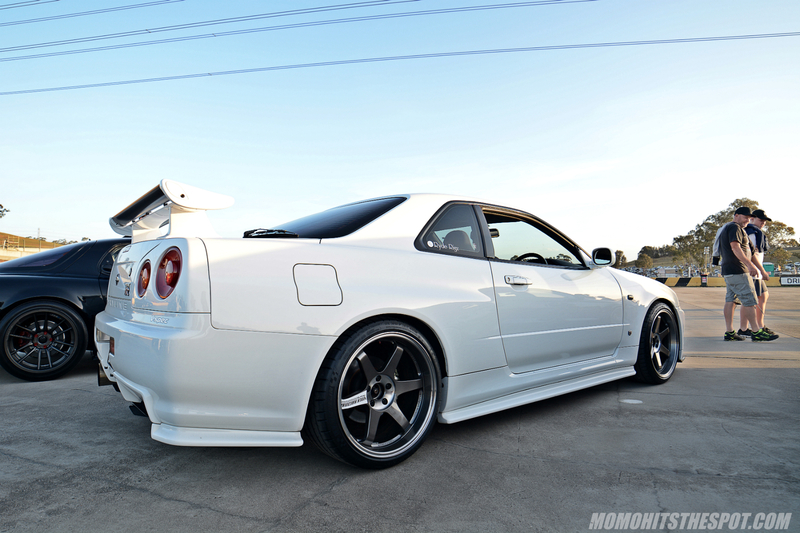 Super clean ITB’d S13 coupe. 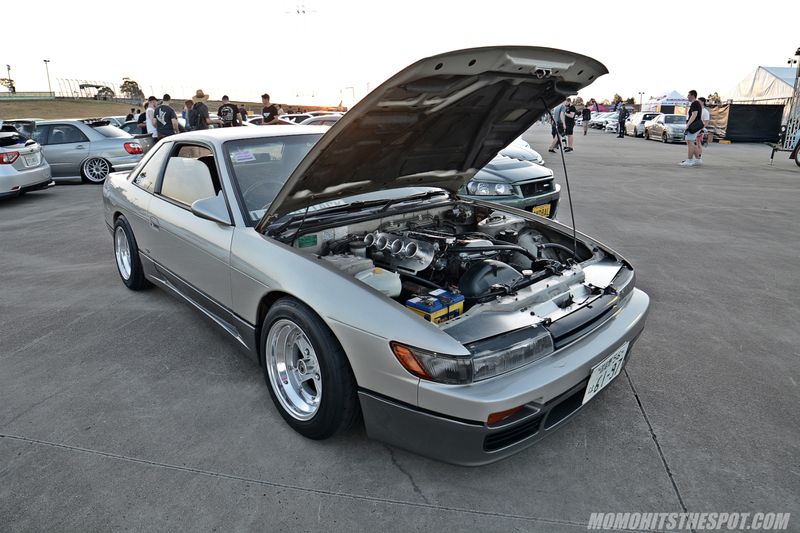 RB swaps were surprisingly plentiful. 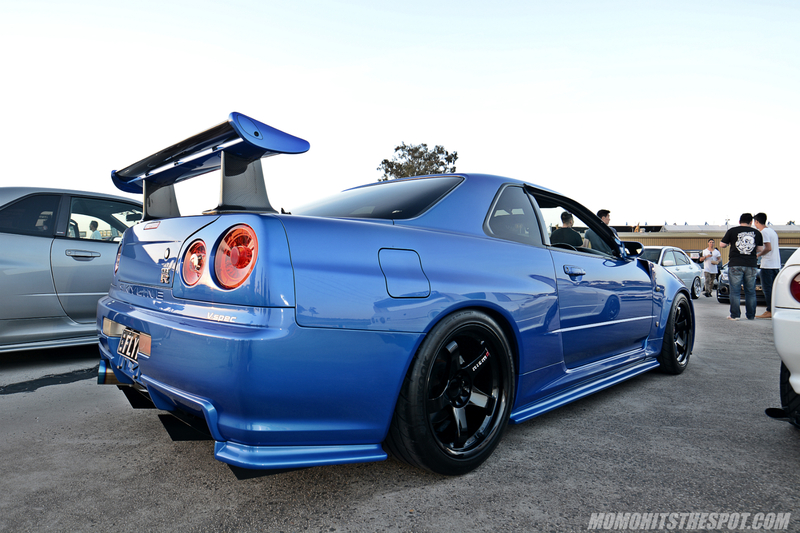 But this one was by far the best. 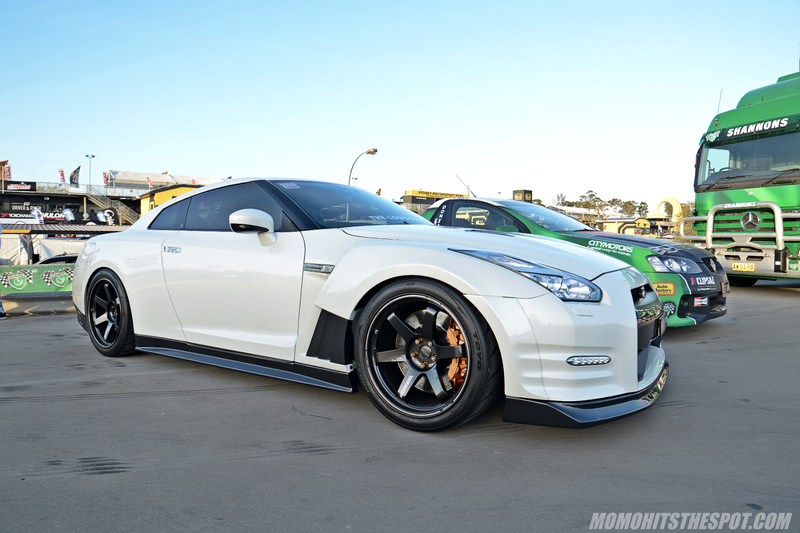 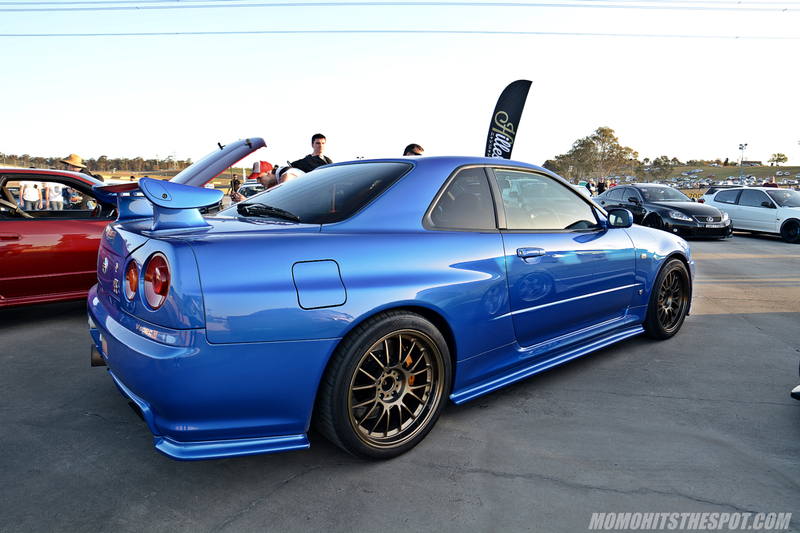 GTRs were also plentiful… from every generation. 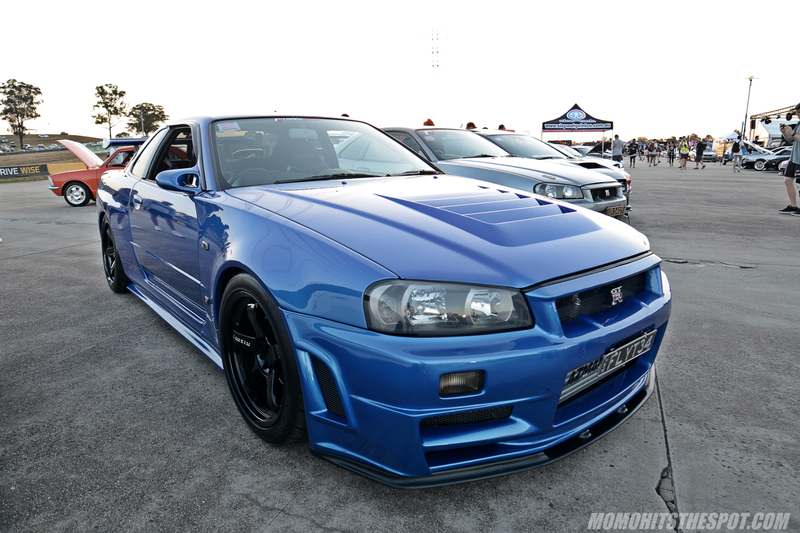 TE37V Mark II looks splendid on this R34. 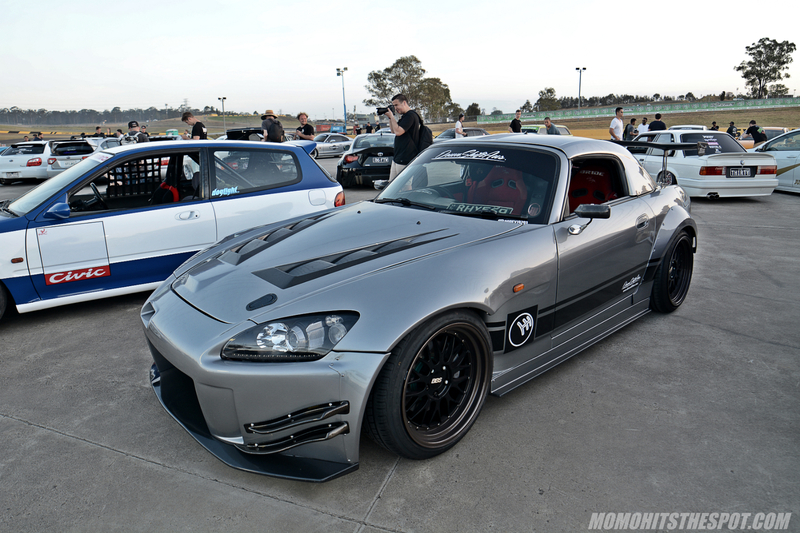 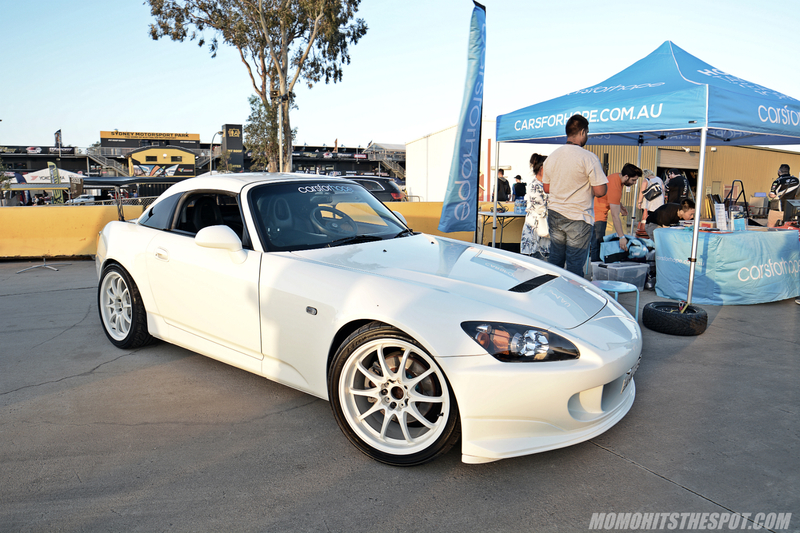 J’s Racing Type S S2000. 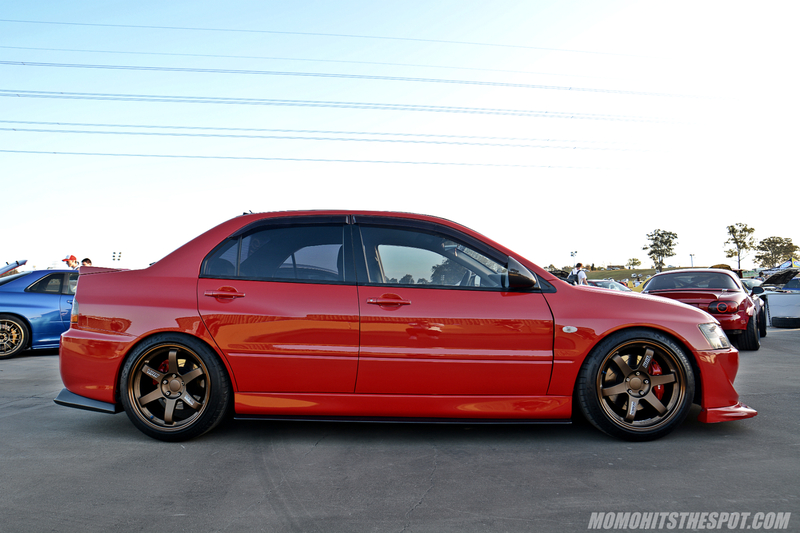 TE37s were definitely a popular wheel of choice which it should be. 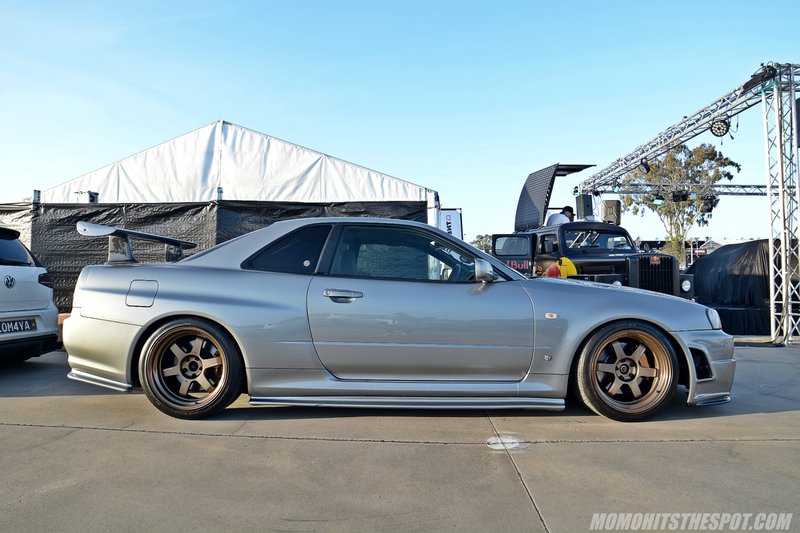 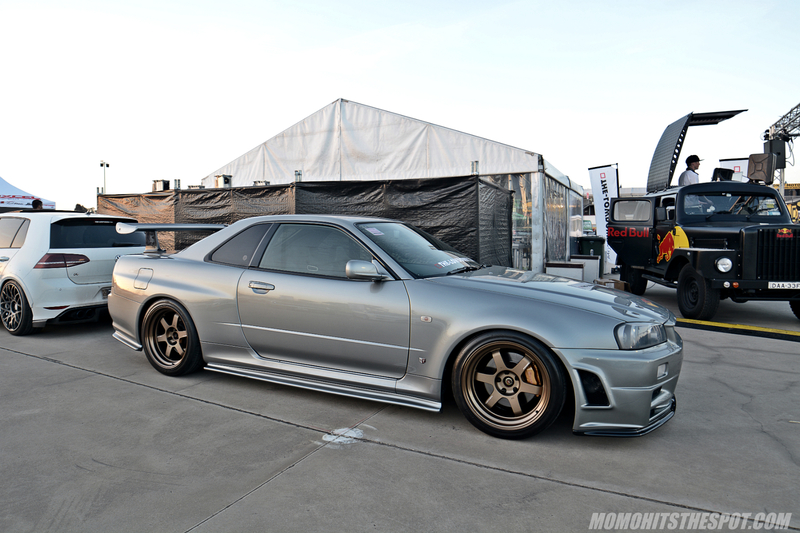 But it’s hard to beat a classic combo like a Bayside Blue R34 on bronze SE37Ks. 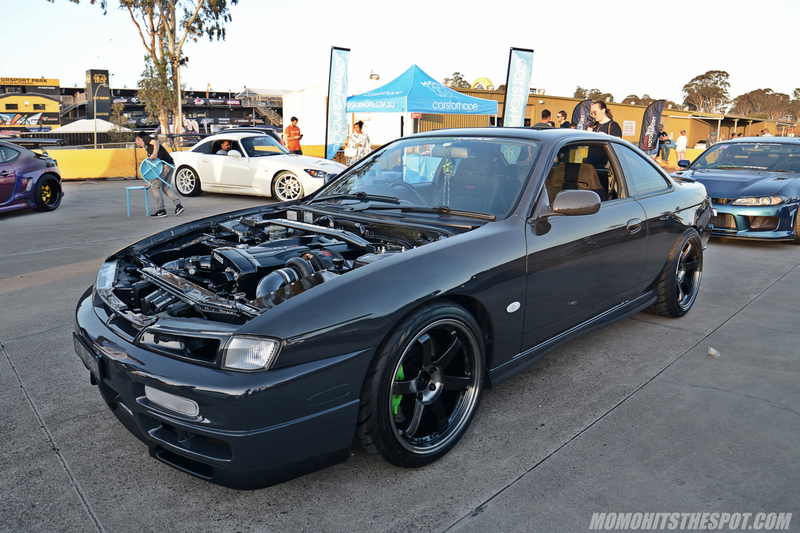 Saw a few Holden UTEs but this was by far my favorite. 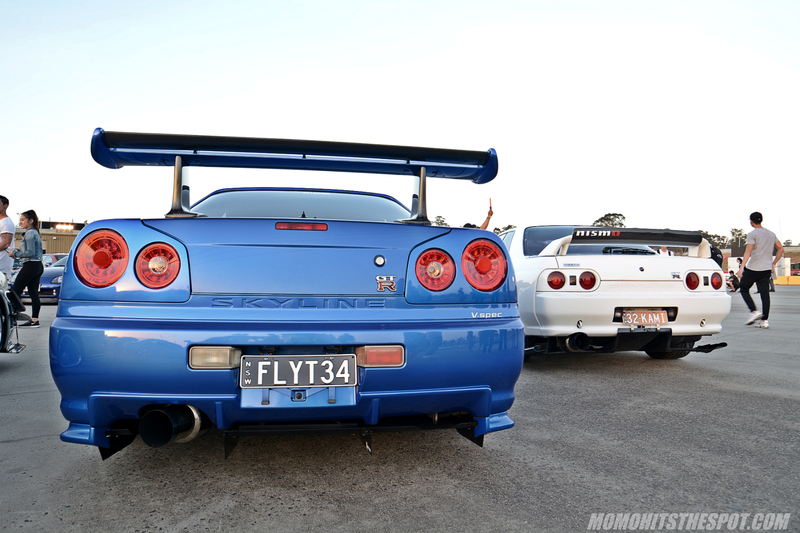 Surprisingly there were not a lot of R35s. 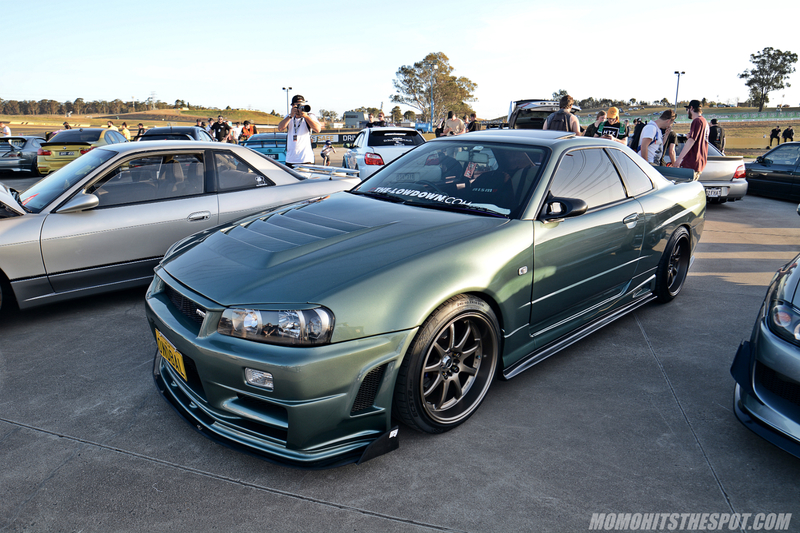 This R34 Stagea was super clean, and on TE37s of course. 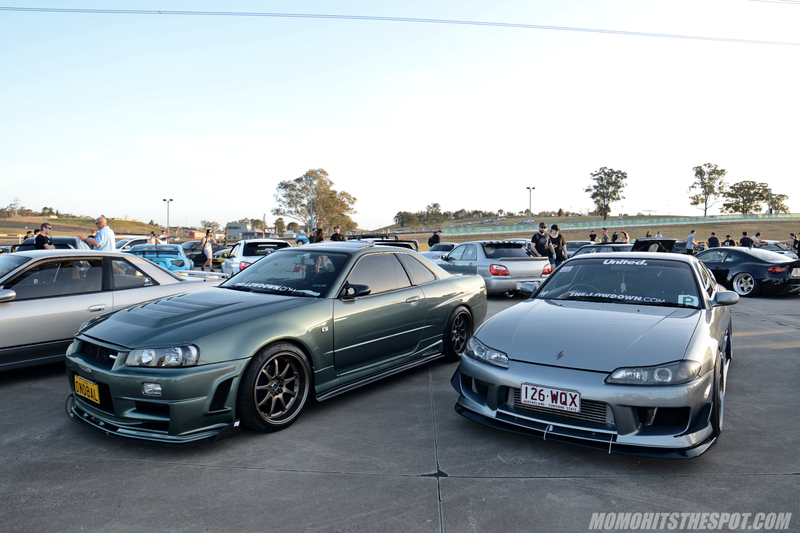 And… finishing this post off with a proper duo. 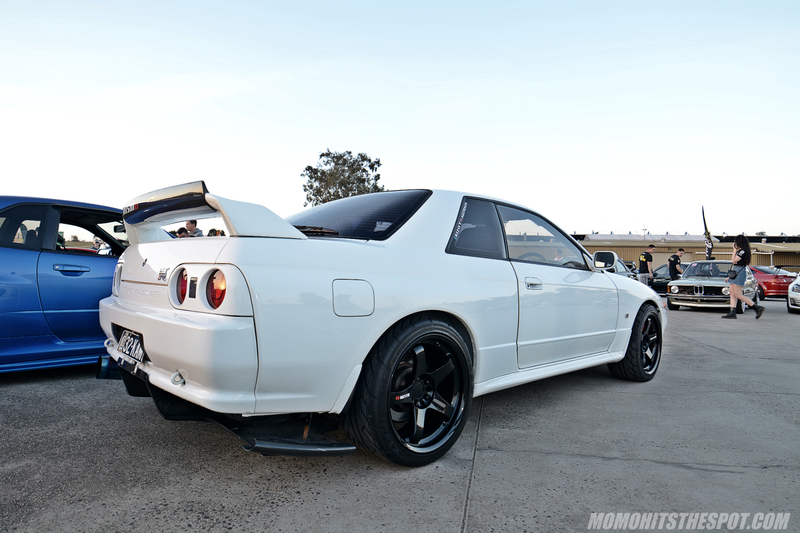 So, there you have it. 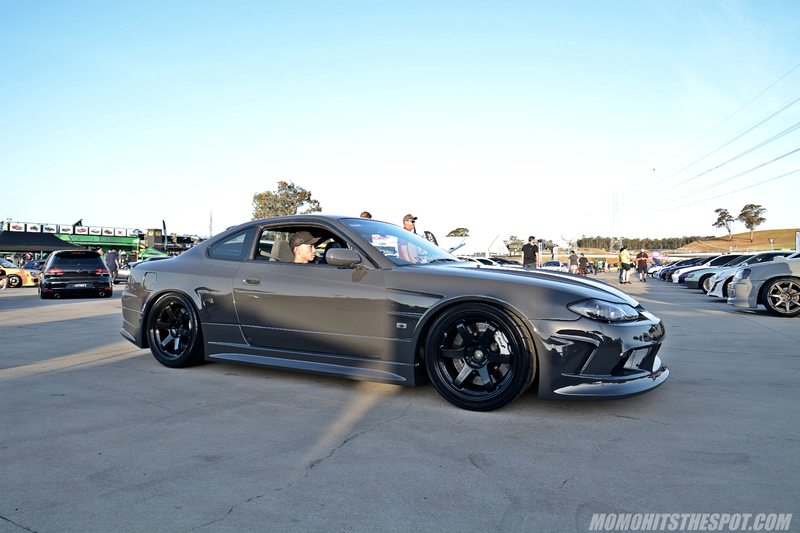 Day one coverage is all done, but would you believe me if I told you the best is still yet to come….. stay tuned for day two!